An Investment Court System for Investor-State Dispute Settlement: A Step in the Right Direction? This past May, Ecuador became the fifth country to terminate its bilateral investment treaties (BITs) following recommendations in a report by the CAITISA, a commission created by President Correa in 2013 to review the impact of BITs on the country. The report lists an alleged failure to fulfill their purpose, the costs they induced, and the lack of negotiation preceding their signature and ratification as reasons for the recommendation. It also suggests creating a regional or international standing tribunal as an alternative to the current system, and Ecuador is reportedly considering a new model for its BITs based on this proposal. In light of the CAITISA report and its reception, this article outlines the salient arguments for and against creating a permanent investment court system as a means of contributing to the discussion surrounding their desirability. It should be noted that these assertions are not above scrutiny. Public courts can also lack impartiality when the state or a state-owned company is a party to arbitration. This has been a problem in claims against countries like Venezuela. While courts are not immune from bias, a recent European Commission proposal has trumpeted other benefits. The Commission is looking to create an international investment court to replace all investment dispute resolution mechanisms currently in treaties and EU agreements. Reforms would create a court system that governments could regulate, with transparent proceedings heard by qualified judges that include an appeal mechanism. Cecilia Malmström, the European Commissioner for Trade, argues that the major problem with the status quo is the lack of public trust in the fairness and impartiality of the old ISDS model. Under the new system, judges would not be incentivized to decide cases a certain way – unlike arbitrators. Nor would parties be able to choose the judge, who would be publicly appointed in advance. In this way, trust in the process could be regained. While creating a regional or international standing tribunal appears to deal with some of the problems encountered with BITs, critics point out that there are still downsides. Investment treaties are said to attract foreign investors. Extra protection via a right to arbitrate disputes is ostensibly an added incentive to infuse capital into a country. Indeed, most studies confirm the positive effect that BITs have on foreign direct investment (FDI). Getting rid of BITs in favour of standing tribunals risks eliminating this incentive. However, the relationship between BITs and FDI is more nuanced than this argument suggests. Allee and Peinhardt observe that state compliance is also an important factor affecting FDI. Investment flow is not solely dependent on signing treaties, but also subsequent government behaviour. A state that is often a party to arbitration because of BIT non-compliance risks damaging its reputation and seeing a decrease in FDI. Some are even skeptical of the relationship between BITs and FDI itself. Olivet argues that the idea that investment treaties are absolutely necessary to attract foreign investment is a discredited myth, and that the claim that investors will leave a country that has terminated its treaties is unsubstantiated. The first claim is somewhat suspect given that numerous studies and empirical evidence confirm the positive effect that BITs have on FDI. But the latter is likely true: more data is needed to confirm what effect terminating treaties has on investment flows. Finally, the CAITISA report itself notes that creating an international standing tribunal fails to fully resolve some issues encountered with BITs. While creating a court system would help reduce conflicts of interest and biases, appointed judges could still be the same people currently acting as arbitrators. In sum, an investment court system offers a variety of features that are desirable in ISDS. European Union agreements such as CETA and the EU-Vietnam Free Trade Agreement appear to serve as viable examples of replacing traditional ISDS provisions with a bilateral investment court system, providing a more impartial and independent process than investment treaty arbitration. But while reforms offer exciting possibilities, it is important to be mindful of what is risked by deviating from the current system. First, so long as states respect their obligations, signing BITs appears to beget greater FDI. Second, investment treaty arbitration still adequately protects investors from states that do not respect their obligations. Potentially eliminating these benefits, considered in combination with the investment court system’s current shortcomings, suggests reform is not necessarily a step in the right direction. Cecilia Olivet, “Why did Ecuador terminate all its Bilateral investment treaties?” Transnational Institute (25 May 2017), online < https://www.tni.org/en/article/why-did-ecuador-terminate-all-its-bilateral-investment-treaties>. Auditoría integral ciudadana de los tratados de protección recíproca de inversiones y del sistema de arbitraje internacional en materia de inversiones en Ecuador (Quito: Informe Ejecutivo, 2017) at 106. Van Harten, supra note 5 at 21. Fulvio Italiani, “The Venezuelan Business Environment” Legalmondo (23 January 2017), online: <https://www.legalmondo.com/2017/01/venezuelan-business-environment/>. European Commission, News Archive, “Commission proposes new Investment Court System for TTIP and other EU trade and investment negotiations” (16 September 2015), online: <http://trade.ec.europa.eu/doclib/press/index.cfm?id=1364>. Cecilia Malmström, “Proposing an Investment Court System” (16 September 2015), Cecilia Malmström (blog), online: <https://ec.europa.eu/commission/commissioners/2014-2019/malmstrom_en>. Eric Neumayer & Laura Spess, “Do Bilateral Investment Treaties Increase Foreign Direct Investment to Developing Countries” (2005) 33:10 World Development 1567 at 1569. Damon Vis-Dunbar & Henrique Suzy Nikiema, “Do Bilateral Investment Treaties Lead to More Foreign Investment?” International Institute for Sustainable Development (30 April 2009), online: <https://www.iisd.org/itn/2009/04/30/do-bilateral-investment-treaties-lead-to-more-foreign-investment/>. Todd Allee & Clint Peinhardt, “Contingent Credibility: The Impact of Investment Treaty Violations on Foreign Direct Investment” (2011) 65:3 International Organization 401 at 402. See Allee & Peinhardt, supra note 16; Vis-Dunbar & Nikiema, supra note 15; Neumayer & Spess, supra note 14. CAITISA, supra note 3 at 106. Cherie Blair, “A global investment court for a changing era of trade” Financial Times (24 January 2017), online: <https://www.ft.com/content/e10e10de-e22e-11e6-9645-c9357a75844a>. Allee & Peinhardt, supra note 16 at 402. 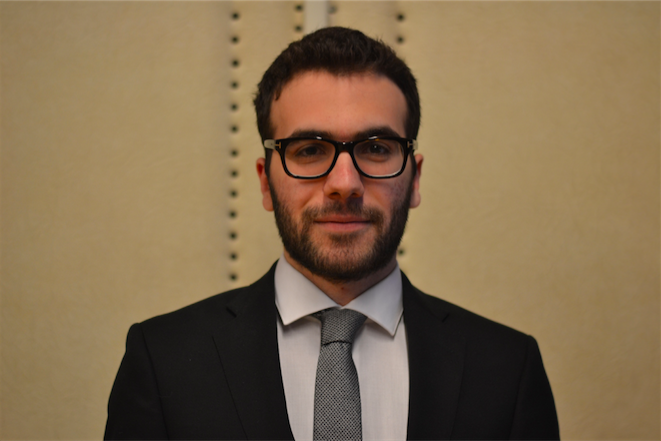 About the author: Émile Berzghal is a second-year law student at McGill University, where he is a senior editor of the McGill Journal of Dispute Resolution, and an assistant director of stakeholder relations of the McGill Arbitration Student Society. Before entering law school, he obtained his D.C.S in Health Science from Collège Bois-de-Boulogne. Besides law, his interests include soccer, boxing, travelling, and classical music.